If a pregnant women undergoes an ultrasound scan in early pregnancy, and it is not possible to visualise a pregnancy either inside or outside the uterus this situation is described as a “pregnancy of unknown location” or PUL. Simple you might think, surely there cannot be any room for doubt for something as straightforward as that. Well you would be wrong. Probable ectopic pregnancy: inhomogeneous adnexal mass or extra-uterine sac-like structure. 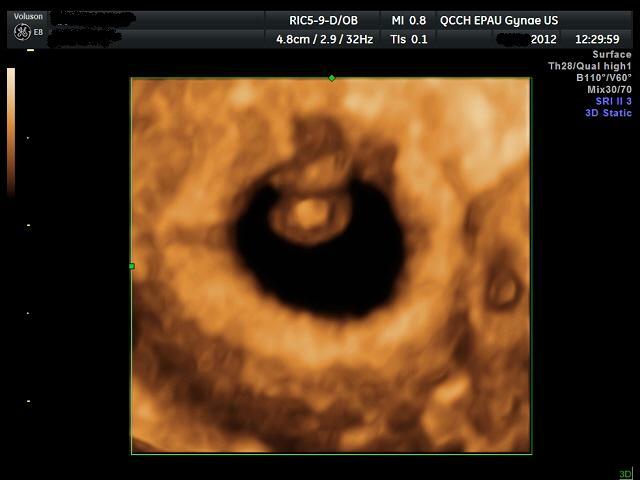 Probable intrauterine pregnancy: intrauterine gestational sac-like structure. Definite intrauterine pregnancy: intrauterine gestational sac with yolk sac and /or embryo (with or without cardiac activity). Hence in the USA and some units in the UK the finding of a small intrauterine gestational sac without obvious embryonic structures would lead to further investigations such as serial serum hCG levels with follow up scan at an interval to confirm pregnancy location. In others there may be no follow up or only a repeat scan. This discrepancy is really important. If we do not know exactly how an entity is defined, we cannot compare management strategies or know how to interpret data from research studies. For years our research group in London could not understand the results obtained in the USA. Only by sitting down as a team did we realise that definitions differed as did the heath-care system in which these women were managed. Once again communication between research groups and in turn with practicing clinicians and patients is vital. This entry was posted in Diagnosis and treatment, Media stories, New research and tagged PUL. Bookmark the permalink.